Net Onboard Review 2019: Is Net Onboard a Good Hosting? Net OnBoard is a Malaysian IT and hosting service provider that has won awards for the quality of its hosting solutions. Besides hosting business websites in the cloud, they also help them register domains and provide them with SSL certificates plus storage solutions. Based in Malaysia, Net OnBoard is an ICANN-accredited registrar and leading provider of business cloud hosting, dedicated SSD servers, cloud storage solutions, email solutions, and premium SSL certificates. Some of its key customers include AiShop, Digi.com, TA Investment, and Malaysian Franchise Association. Their website is in English. Net OnBoard leverages robust hardware and network with built-in high availability and a failover mechanism, which enables them to deliver an impressive 99.9% uptime guarantee at all levels. 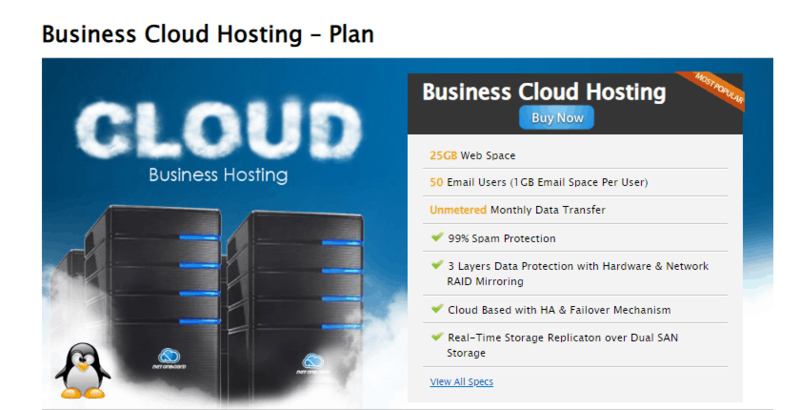 This reliability extends to their business cloud hosting platform, which boasts a 100% redundancy. Operated in a virtual environment and linked to SAN storage, your data, apps, and files are replicated twice for redundancy. 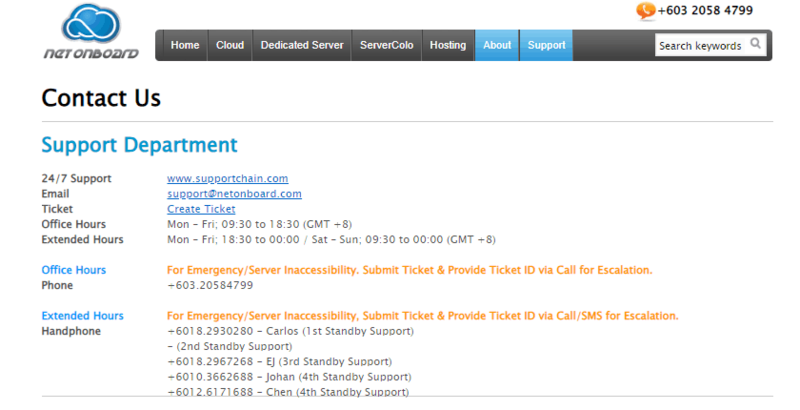 So, in the event of hardware failure, their cloud hosting will kick in and prevent any disruption to your websites. When moving to a new host, the security of your data and website is something you shouldn’t comprise. Lucky for you, Net OnBoard has a lot of security measures geared towards protecting your data. They have sound data protection architecture with roll back and restoration functionality, which will come in handy in the event of a hardware failure or software malfunction. Mirroring backup (RAID) is built-in. Connected to their cloud, it’s the perfect antidote for accidental or manual file deletion. Under each hosting account, you’ll find the standard cPanel with a user-friendly interface to help you manage your websites and administer your domains, security settings, or database. DNS editors and their web-based file manager are accessible from the control panel. Some of the key apps supported include business website, e-commerce, blog, photo gallery, and a limited forum. If you don’t have the time to administer your account, you can assign administrative rights to a webmaster, so they can carry out routine or necessary tasks. Net OnBoard has been able to win the hearts and minds of customers because of a combination of three things; reasonable pricing, fantastic support, and value. Customers can order any of their low-cost shared hosting plans and pay conveniently via cash, check, wire transfer, direct bank deposit, or PayPal. Upgrades are not automated. Optional add-ons include SSL certificate installation and dedicated IP address. You’ll need to send an email to their sales team to ask for assistance. Looking at their customer testimonials, you can tell their support team is a helpful lot that offers prompt replies and professional solutions round the clock. You can reach out to them via email, online ticketing, or telephone whenever you need help. If you’re a techie, you may want to look up answers in their FAQ section or knowledge base, which covers topics such as billing, shared hosting, domains, web design, and cloud servers before contacting their support. Net OnBoard is suitable for customers who operate websites with medium or heavy traffic, or anyone who wants the perfect combination of speed and uptime. Wondering how Net Onboard stacks up against other Web Hosting companies? Enter any other Web Hosting company and we will give you a side-by-side comparison.